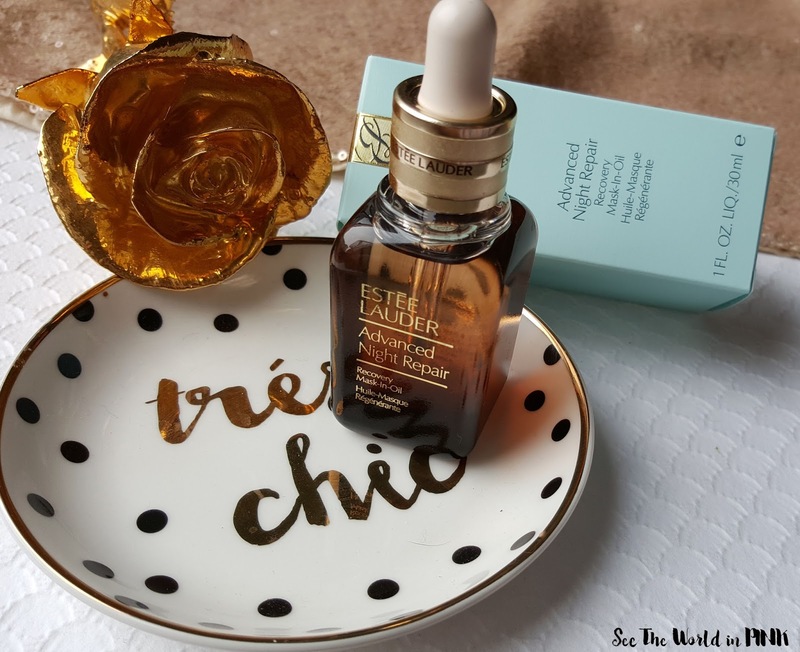 Skincare Sunday - Estee Lauder Advanced Night Repair Recovery Mask-In-Oil Review! It's Skincare Sunday - this weekend I am sharing a look at a new, unique product from Estee Lauder! 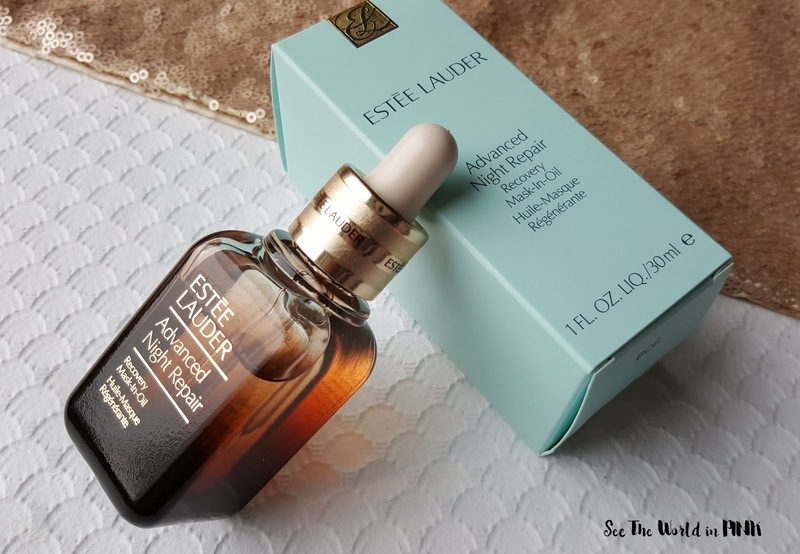 Estee Lauder Advanced Night Repair Recovery Mask-In-Oil Review ~ $100.00 CAN. The concentrated formula strengthens, nourishes and rebuilds, helping to create a virtual nighttime cocoon. Prepares skin for the day ahead by boosting its natural resistance to daily environmental assaults. Use it every night and awaken to skin that looks more healthy, renewed and radiant. This oil acts as a repair-lock to help seal in the benefits of a nighttime serum - this added step encourages vital, natural skin recovery over night, while protecting and prepping skin for the day ahead. This mask-in-oil is a light-weight formula that delivers a concentrated mask strength of a specialized blend of skin strengthening ingredients that work overnight to protect and rebuild the skin's strength. This acts a barrier to lock-in your nighttime skincare routine and lock out any negative impacts. This mask-in-oil is straight forward to use - use this Mask-in-Oil at nighttime after your repair serum or as the the last step in your evening routine to lock in all the benefits! This mask has a really light-weight texture and a couple drops goes a long way to cover your whole face. I loved how silky this mask-in-oil feels as a final layer on the skin! It absorbs in to the skin, but does leave a hint of a barrier on the skin, without feeling oily, greasy or heavy at all. I wasn't sure what to think of this product at first - but, after using this for a couple of weeks I am convinced my skin has improved! 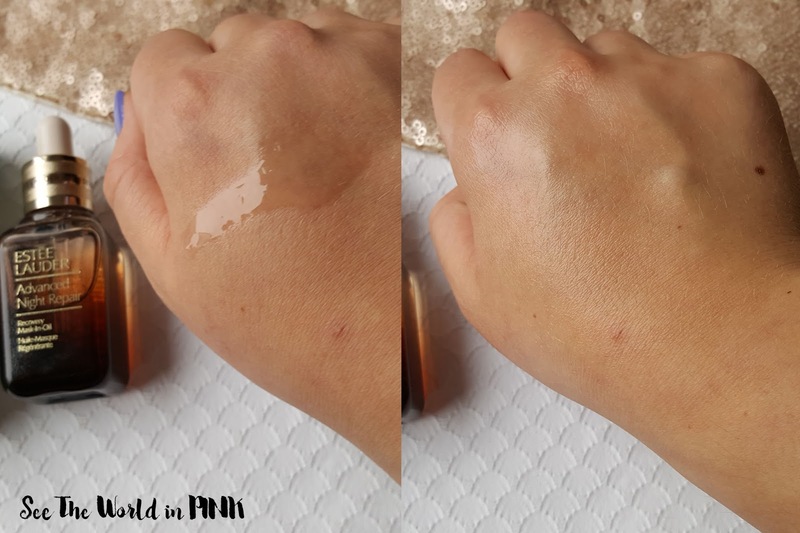 My skin has had less blemishes and the texture was improved! Also, my skin has been looking refreshed and bright! I was thoroughly impressed with this product and despite the $100 price tag that may throw some people off, it delivers genuine benefits! Also, this product will last a long time - this is a big bottle and only a few drops are needed every night!